The first snow? A pastel sunset? Come on, we're car guys and there are few things we love more than a big engine in a small roadster. It's the formula that put Carroll Shelby on the map, and it's very much alive today thanks to a small cadre of niche manufacturers and aftermarket tuners, a disproportionate share of them residing in Germany. Just a few days ago we brought you news of the Wiesmann MF5 Roadster, set to debut at the upcoming Frankfurt show with a BMW M5 ten-cylinder engine packed into a little retro roadster. But if your taste veers more towards the modern than the throwback, Manhart Racing may have just the thing for you. 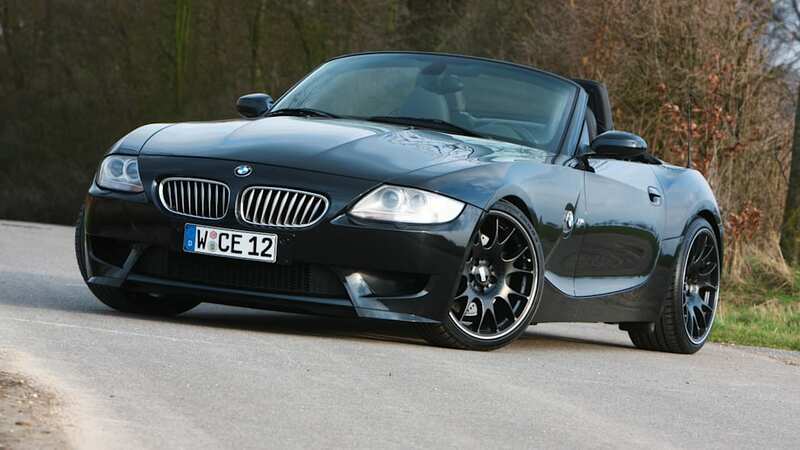 The German tuning firm has shoehorned that same 500-hp, 5.0-liter DOHC 40-valve V10 – known in Bavaria as the SB85B50 – into the BMW Z4. The mod job wasn't finished with the engine swap, however. Manhart also switched the transmission and differential, installed an AC Schnitzer exhaust, HJS cats and in the process just happened to have disabled the electronic speed limiter. The resultant 550 hp output in a 1450-kg package gives the ten-cylinder roadster a power-to-weight ratio of 2.6kg per HP, which places it firmly in supercar territory. (The flyweight Ferrari 430 Scuderia, for reference, packs 2.45 kg/hp.) 0-60 comes in a claimed 3.9 seconds, and we have little reason to doubt it. That is, assuming you can get all that power down through the upgraded 285/30ZR19 rear tires and keep it in a straight line with the 235/35ZR19 mounted on blacked-out BBS Challenge rims. We just hope they've upgraded the brakes to go along with the extra power. Details in the press release after the jump. 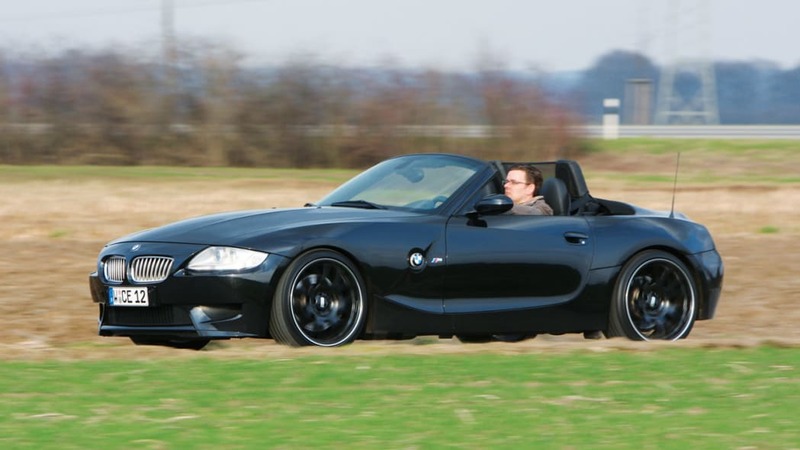 The M version of the BMW Z4 is famously known by nature for being anything but underpowered, since the chassis of the sports convertible already has a heck of a lot of work with the 343 HP and the forward thrust in the lower gears could last forever. 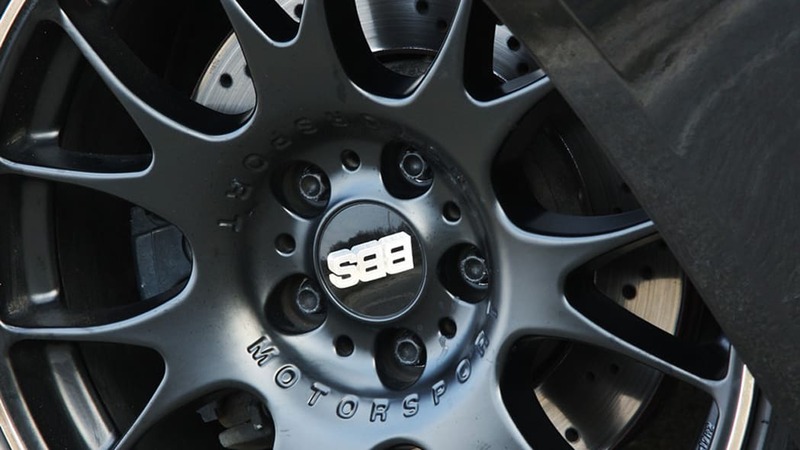 As is generally known however, the sport oriented motorist can never have enough power at his command. 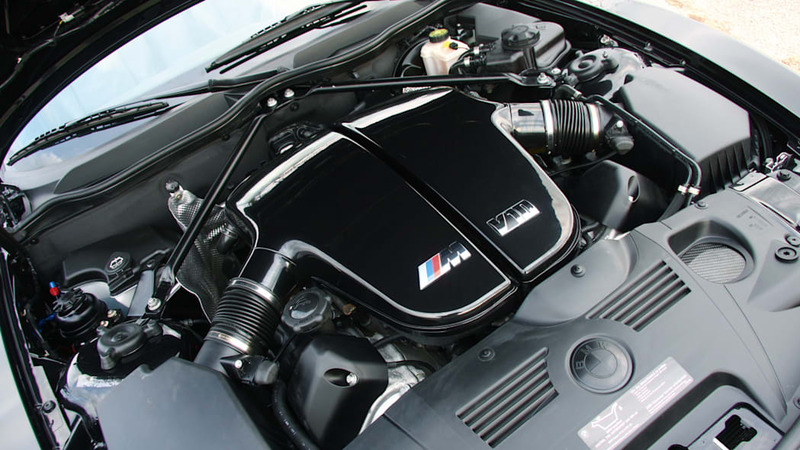 Sufficient cause for Günther Manhart, who by now has over 25 years experience in rebuilding BMW engines - a first for Europe – to transplant a brand new, much stronger heart into the Z4. 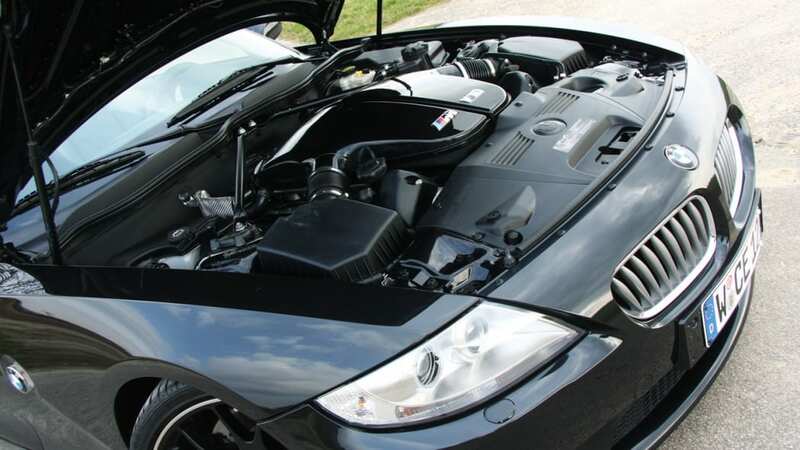 The transplantation of the ten cylinder engine from the current M5 generation into the narrow engine bay of the roadster was anything but a walk in the park and it earned the Manhart Racing engineers quite a few grey hairs. 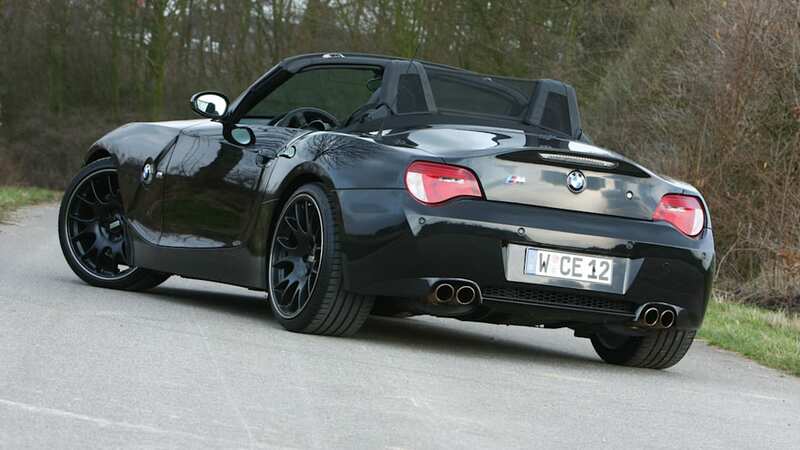 Nevertheless: everything fitted in the end and now the fire of a 5.0 litre V10 engine with an impressive output of 550 HP blazes above the front axle of the Z4. A catalytic converter, a modified DME electronic control unit and the removal of the factory-set V-Max restriction up to 250 km/h are part of the rebuild. 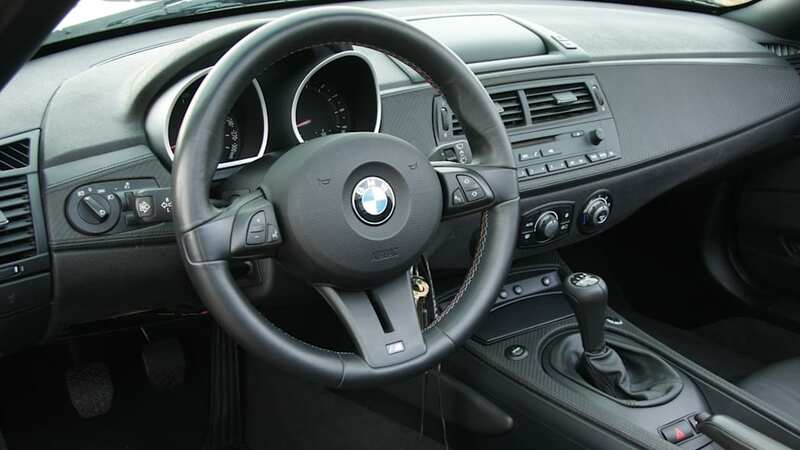 Consistent to the M5 V10 engine Manhart Racing has treated the Z4 to an original M5 E60 6 gear manual transmission which includes a Fichtel & Sachs clutch and a M5 E60 differential. 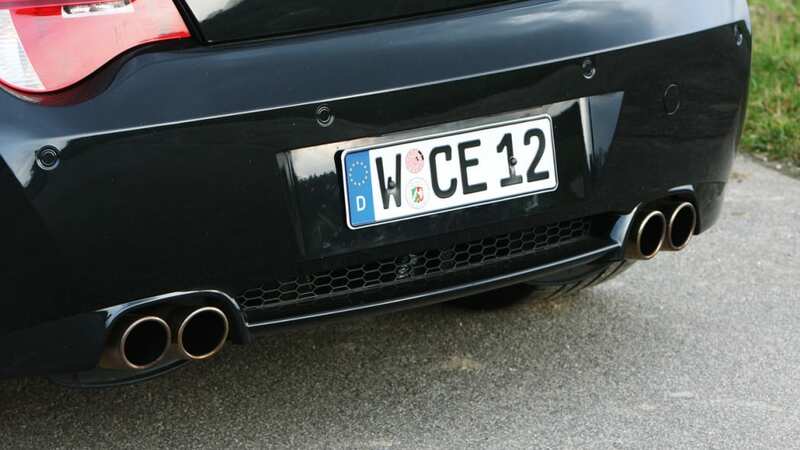 An AC Schnitzer stainless steel exhaust system with four muffler tips which was fitted with HJS racing catalytic converters caters for a perfect V10 sound at the rear. The Manhart Z4 M V10 goes like hell and thanks to the perfectly tuned Bilstein B16 PSS10 coilovers, the virtually unrestrained power of 550 HP can be brought under control to the tarmac. 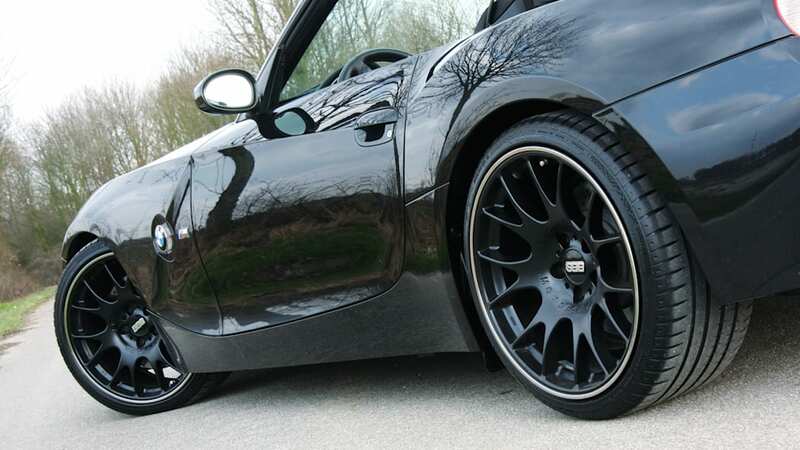 Black BBS Challenge wheels rotate in the wheel arches of the Manhart Z4 M V10 with 8.5Jx19 ET35 235/35ZR19 front tyres and 10Jx19 ET20 285/30ZR19 back tyres. Conclusion: 550 HP ten cylinders, an acceleration from 0 to 100 km/h in 3.9 seconds, kerb weight 1450kg, 2.6kg per HP... who could guess that these impressive figures belong to a Z4? Hardly anyone, however Manhart Racing turns dreams into reality and does this with 25 years experience.